1. Cut and fold toilet paper rolls to make biodegradable planters. Just cut four slits in the roll and fold them down like you would a cardboard box. Repurposed items aren't always the most attractive things ever but these toilet paper roll planters are adorable. 2. Blend moss with beer and sugar to make moss paint. This is bizarre and yet crazy cool! You just paint your moss smoothie onto the walls in the shape you like and gently water it every few days during the first month. Once the moss graffiti begins to grow, just snip away the unruly areas to keep your masterpiece in shape. 3. Twist a leaf off at the stem to get a clean break if you want to propagate a new succulent. FYI, propagation is the process of growing a new plant out of a piece of an old one. The process varies from plant to plant, but if you're working with succulents, just twist a leaf away from the stem, place it on the dirt and water generously. 4. Save your orange rinds to use as seed starters. The citrus peels will actually add nutrients to the soil in your garden once your seedlings are ready to plant! 5. Grow seeds in egg shells to repel pests and provide your plants with calcium. Eggshells do literally everything in your garden. Fertilizer? Eggshells. Pest control? Eggshells. Bird food? Eggshells. Mulch? Eggshells. Weed prevention? Eggshells. I know you're already digging through your trash looking for those magic makers you tossed after breakfast. 6. 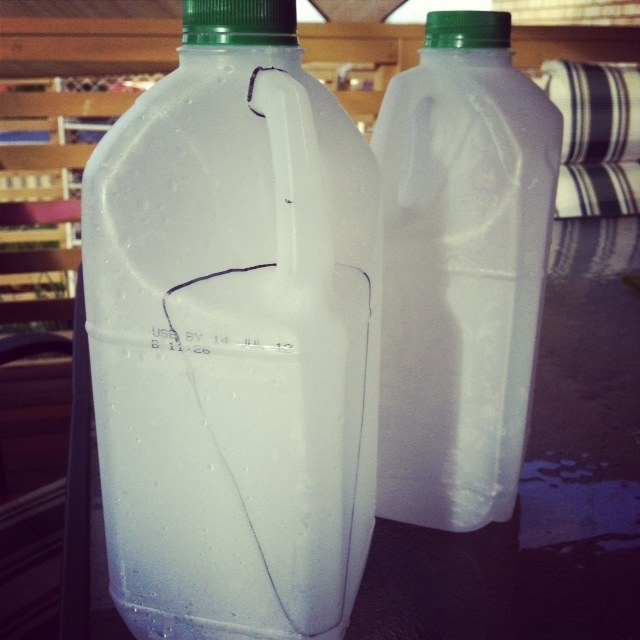 Poke holes in the cap of a milk jug to make a watering can. 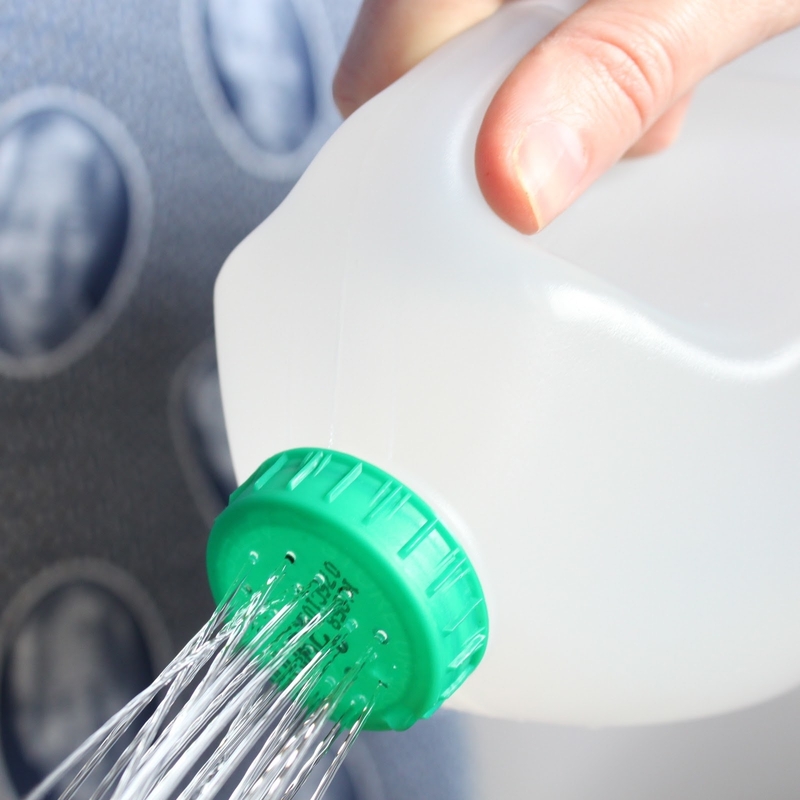 Milk jugs are easier to fill, less leaky, and less heavy than real watering cans. 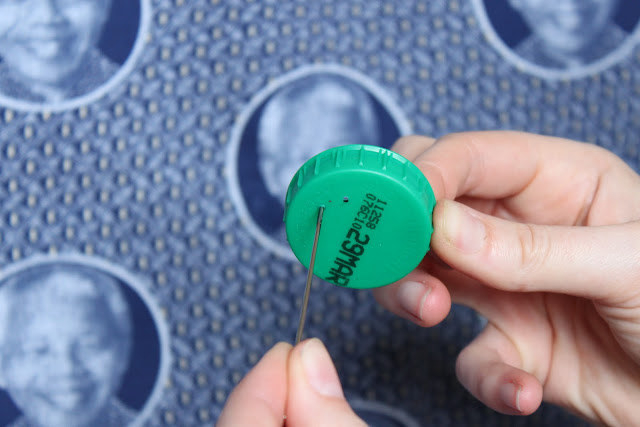 All you need to do is heat a needle, poke holes in the cap, and fill up the carton. 7. Or cut the milk jug into a hand spade. Draw the shape of a shovel on the handle side of the jug and cut it out with a box cutter. 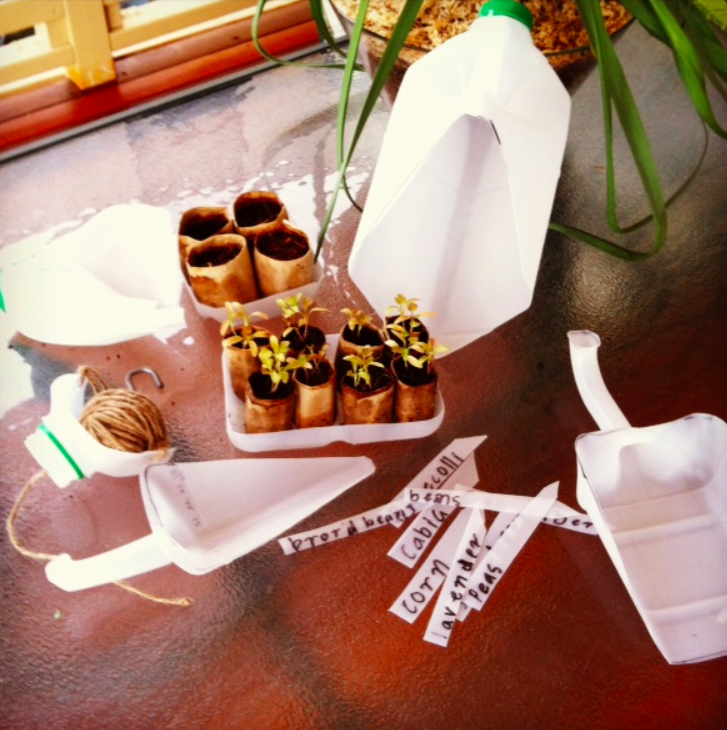 Use the rest of the milk jug plastic to make plant tags! 8. Mount your herb garden on the wall with an Ikea wine holder. All you have to do is lay rocks in the bottom of a pint glass and fill it with soil and plant your seeds! If you want to label them, dip the bottoms of the glass in chalkboard paint. Then, carefully slide them into the wine rack. Get it from Ikea for $12.99. 9. 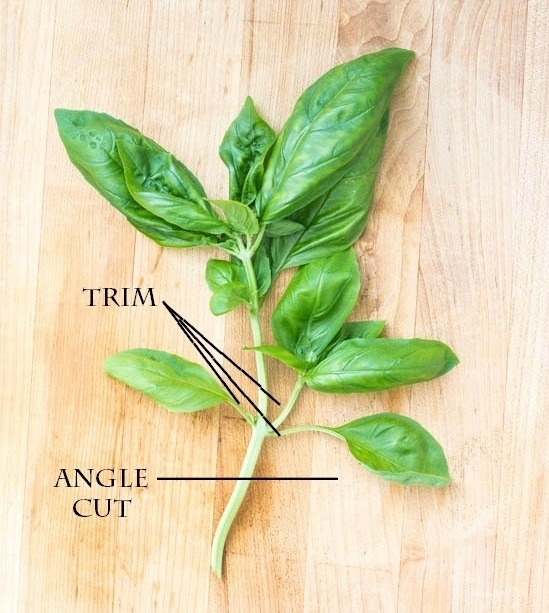 Snip basil stems at an angle and stick them in a glass so you never need to throw unused herbs in the trash again. 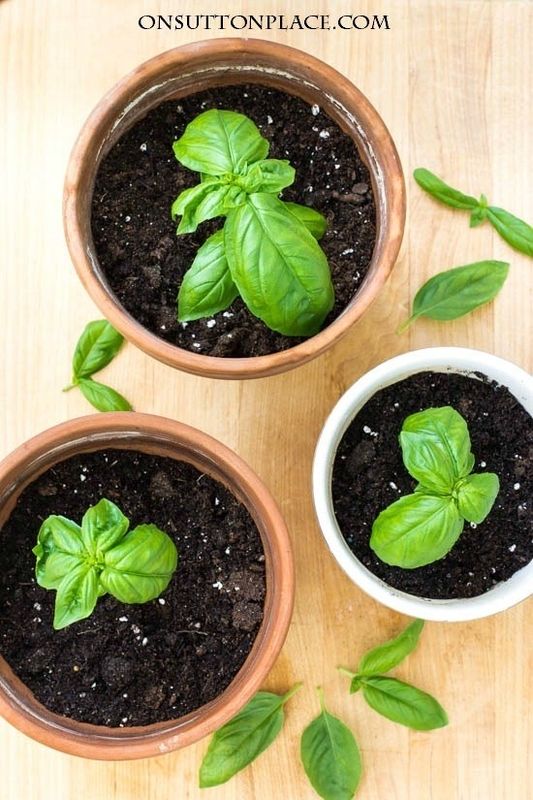 Propagating basil leaves is super easy — snip the stem and leave them in the water glass for two weeks. Once the roots have sprouted, plant them in potting soil and water regularly. 10. 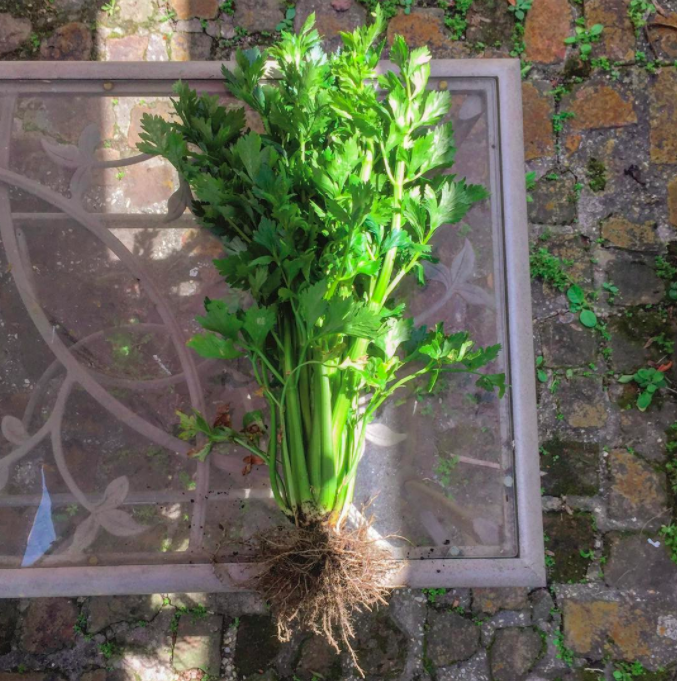 Place the root of celery in a dish of water and transfer to soil when the roots have grown. Keep the water fresh and switch it out every few days, and leave the dish in the sun. 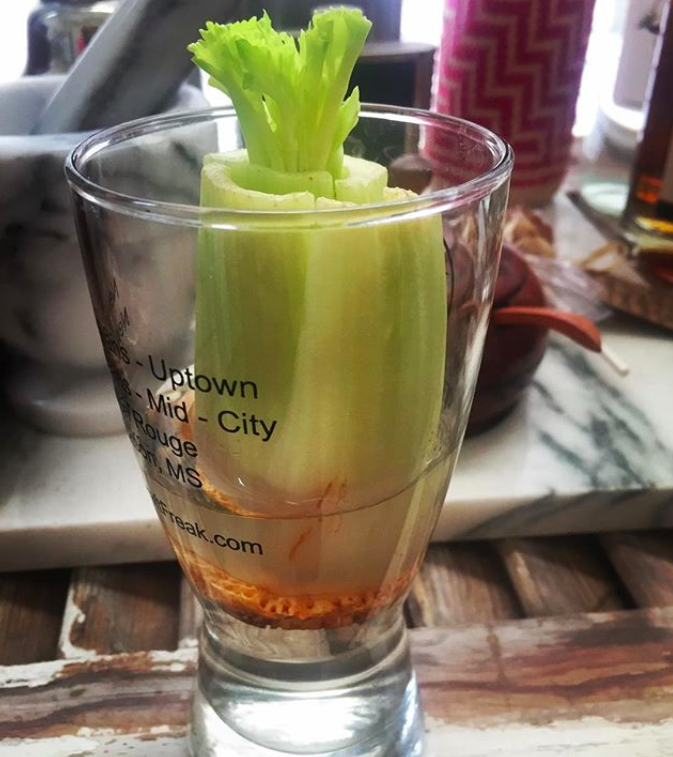 The celery root should sprout within a week. 11. Cut the outer layers of a sprouted onion and plant the roots. You've been too tired to cook for the past week (or month) and those onions you bought have gotten real nasty. But no worries, you haven't wasted them yet. Cut away the layers you would've normally eaten and plant the root and the green shoots in the soil. 12. Stick your plants in a bath caddy so they get more direct light. Line bath caddies with felt, fill them with dirt, stuff them with plants, and hang! 13. Or grow them in an over-the-door shoe rack. 14. Fill a wine bottle with water and stick it in the dirt to make a self-watering insert. Poke a hole in the cork with a nail and wedge it in the filled bottle. Then, stick the bottle in the dirt upside down and angled toward the plant. 15. 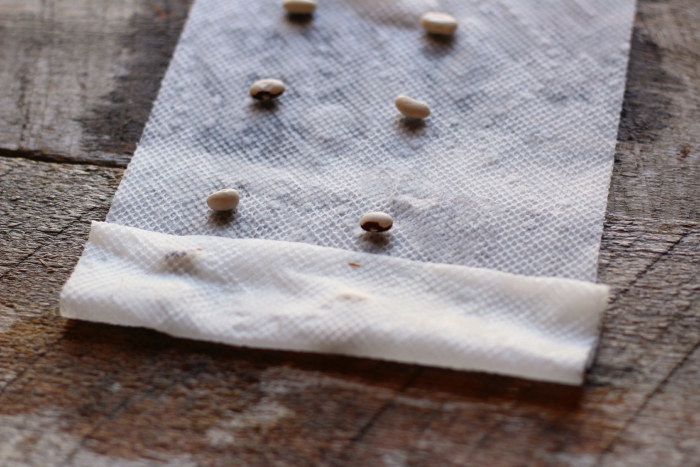 Make seed tape out of toilet paper to evenly space your seeds. Roll up some toilet paper and cut it all in half. Lay out the strips and use a ruler to evenly space out drops of water. 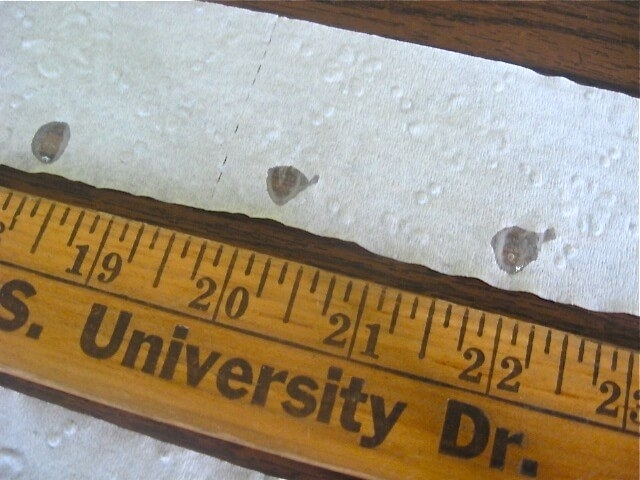 Place a seed on each dot and fold the strip in half. Hang them to dry and then plant them. 16. Toss your coffee grounds in the soil instead of the trash to fertilize your plants and attract worms. Coffee grounds are awesome for your garden! They add important nutrients to the soil and help it absorb and retain more water. Plus, it invites the good critters like earthworms, which basically plow the ground — and deter the bad kinds like slugs and snails, which will eat and/or kill your plants. 17. Line your pots with coffee filters to keep the soil in the pot where it belongs. If you notice that the soil keeps draining out of your pot or clogging up the drain hole when you water the plant, repot your plant in a pot that has a coffee filter lining the inside. It'll keep the soil in while still letting the water out. 18. Lubricate garden shears with car wax so you get a nice snip every time. The car wax will prevent your tools from rusting and will keep the hinge from jamming up. 19. Sprinkle a little baking soda onto the dirt to make your tomatoes a little bit sweeter. If your tomato plants are producing tart fruit, the soil might be too acidic. The baking soda will help raise the pH level of the soil; however, too much baking soda will make the soil basic, which would also be bad. Just add a little bit every week and you'll get deliciously sweet tomatoes! 20. Store your tools in a mixture of sand and baby oil to keep them in good condition. The sand will sharpen the tools and the oil will keep them well-lubricated. 21. 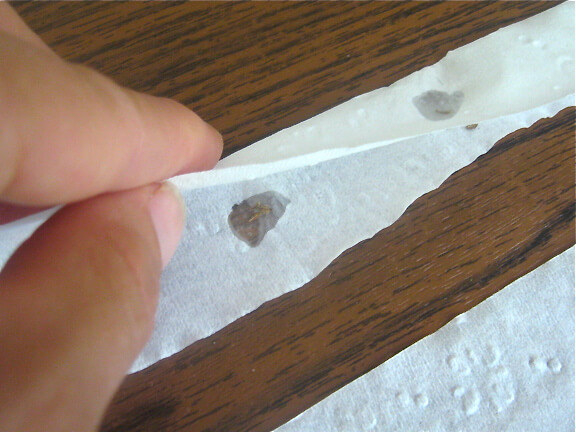 Roll seeds in a wet paper towel to test whether they are viable. 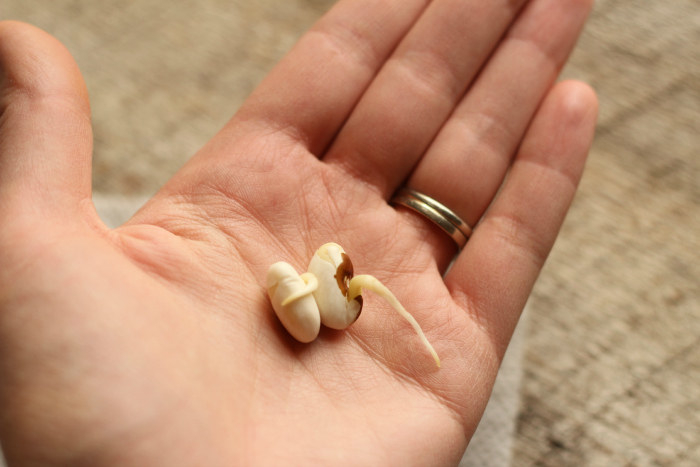 If the seeds are good, they will sprout somewhere between two days and two weeks. 22. 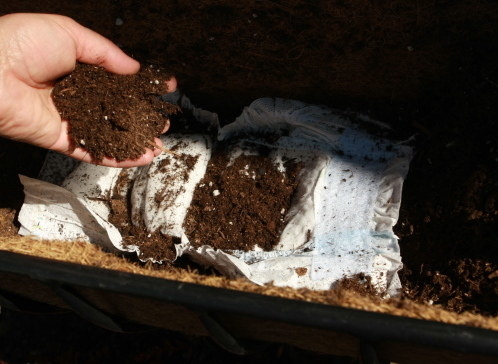 Line the bottoms of your planters with diapers to keep your plants hydrated. 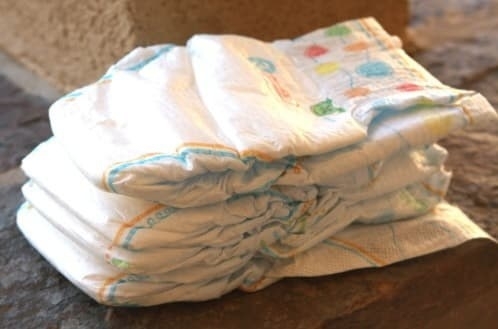 Because diapers are so absorbent they'll keep the water contained so the soil can absorb it slowly over time. Plus, they keep the soil from draining out. 23. Spray your plants with a garlic mint tea to keep the bugs away. Pulse garlic and mint in the food processor and boil with cayenne pepper. Let it cool overnight and then strain it into a spray bottle. Spray the plants every few weeks — but do it on a cloudy day so as to not burn the plants. 24. Stick a few paint stir sticks in the ground to use as garden markers. You can get paint stir sticks from any home improvement store — they'll probably give them to you for free! 25. Or print out labels to stick on these highly rated copper markers. Get a 25-pack from Amazon for $19.95. 26. And build a trellis out of bamboo poles and zip ties if your vines are growing too darn fast. Just stick two bamboo poles in the dirt and cross them with two more poles, attaching zip ties at the intersections. That way, your vines will have somewhere to climb until you find a new permanent solution! Check out more Gardening Week posts for tips, tricks, and inspo.